I love taking care of my family, BUT there is one thing I don’t like to do…COOK! Now that is a bit of a dilemma because my family needs to eat right? Plus during this time of the year, I’m busy! Kids are back in school and their activities, so Mom Taxi is always on the run. Getting ready for the holidays and all these fall birthdays we have coming up takes up my time too. I don’t have the time to spend in the kitchen, so I pull out my MOM HACK #1! 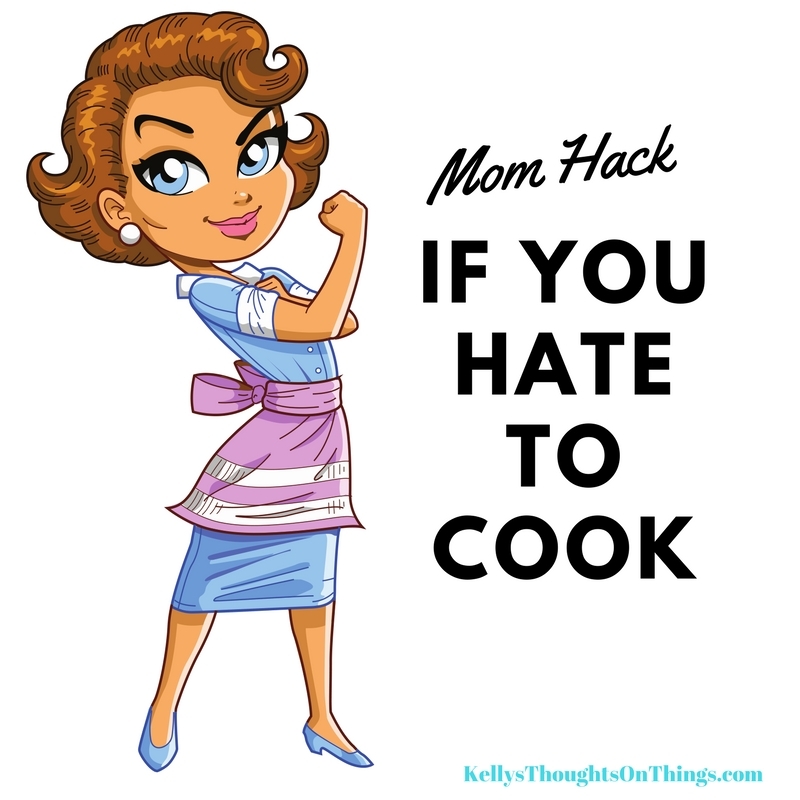 My Mom Hack #1 is…. cook semi-homemade. I’m not a total lazy cook, but I will combine fresh ingredients (mainly meat and veggies) with specially selected store-bought items. Cooking like this saves me a lot of time and headache plus the food is decent. I grew up on meals out of the box, freezer or a can so when I became a mom I knew I didn’t want to cook like that for my family. 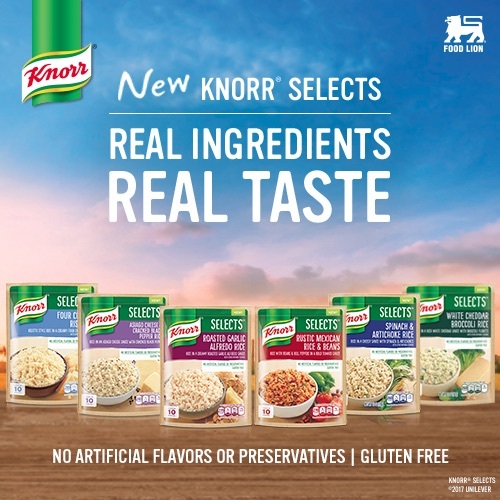 My favorite brand I like to cook with is Knorr Selects products that I get at my local Food Lion store. 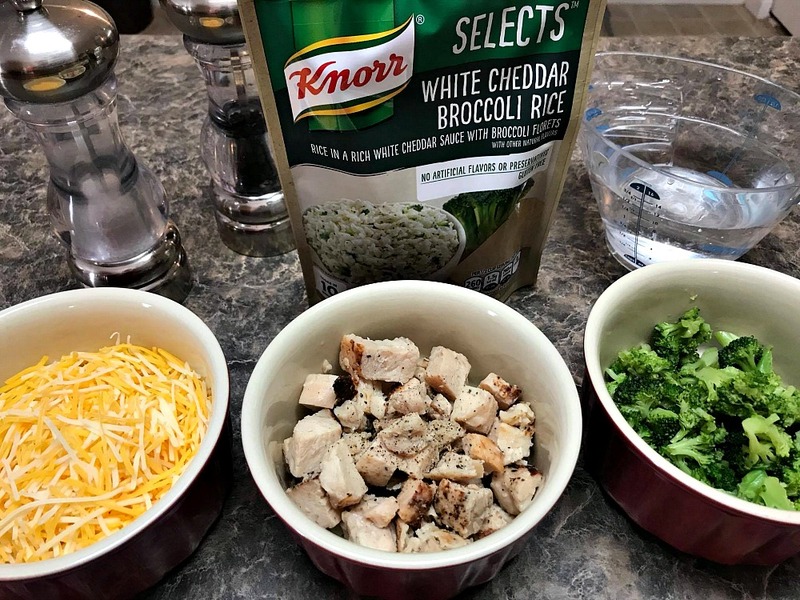 Knorr Selects are gluten-free and don’t contain artificial flavors or preservatives, so I know serving it as a side dish or create a one-dish meal is precisely how I like to cook. 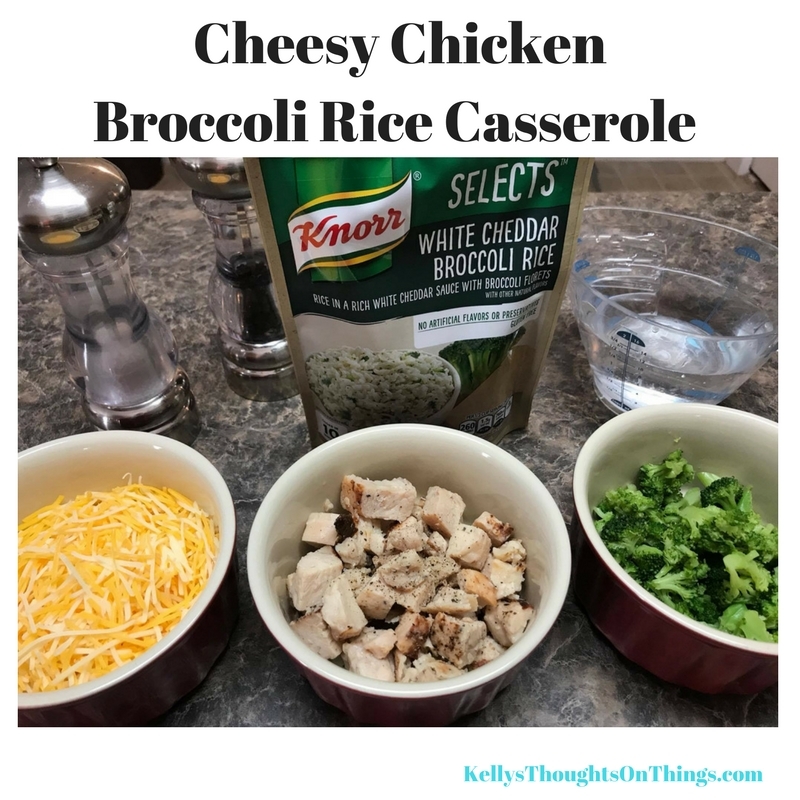 Knorr makes my semi-homemade cooking hack easily with all their product options; My family loves anything to do with chicken and cheese, so I’m going to cook up a Cheesy Chicken Broccoli Rice Casserole. Plus this time of the year it is perfect for a hot steamy bowl of yummy goodness! Oh yeah throw in some fresh veggies, makes me feel good as a mom when I do that. Plus the family appreciates how good the food taste too. Get creative and think of ways you can incorporate these products into meals! 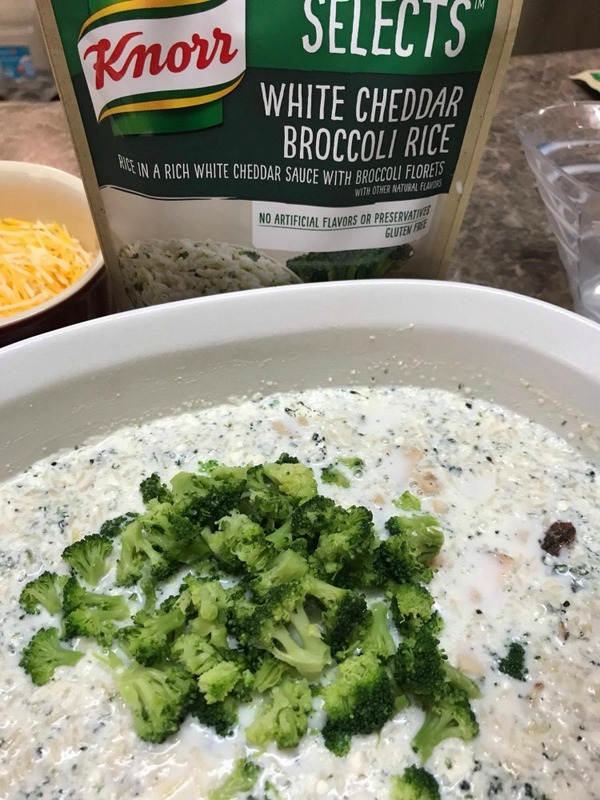 Pour the Knorr Selects White Cheddar Broccoli into the pan and add the water and milk, as the package directs. Add the chicken and broccoli and stir to combine. Serve in a nice big bowl! You can use LEFTOVER TURKEY TOO! While this meal is cooking, you can be helping the kids with their homework or enjoy a glass of wine while watching your favorite TV show. I’m usually cleaning up after the dog or doing laundry, but that wine sure sounds good to me! 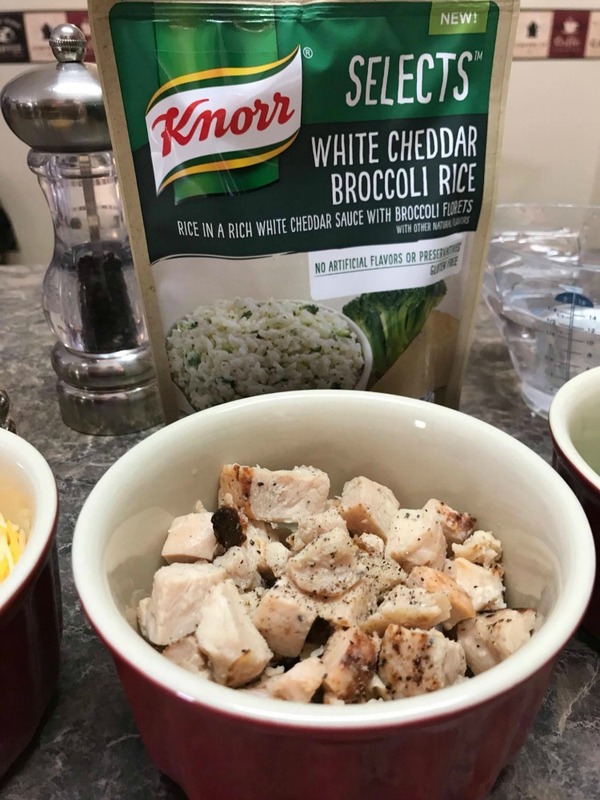 These Knorr Selects I have tried before and we love them. This recipe for the cheesy chicken broccoli rice casserole I will have to make for the family. 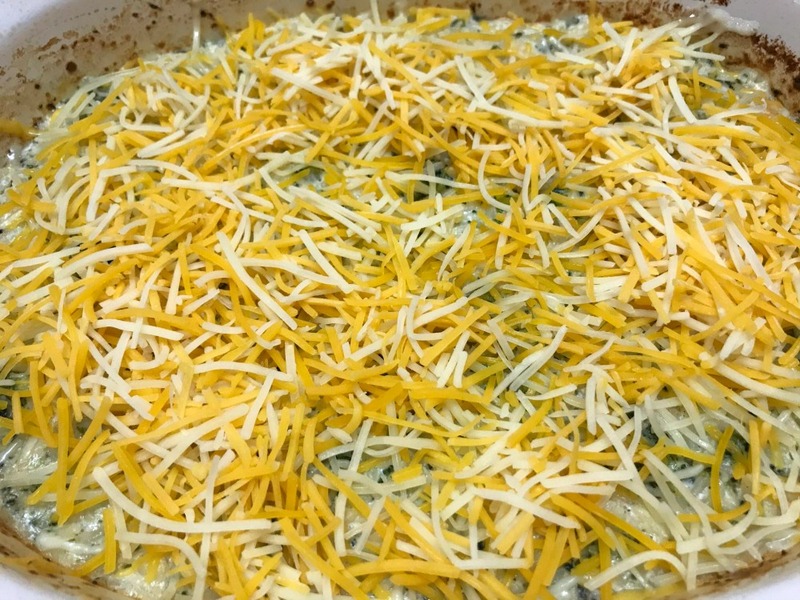 The Spinach & Artichoke Rice is something we haven’t tried yet but will have to try because it sounds interesting. Thanks for sharing the recipe. I love it! This definitely makes cooking dinner easier especially if you’re in a hurry or if you don’t have much time to cook! 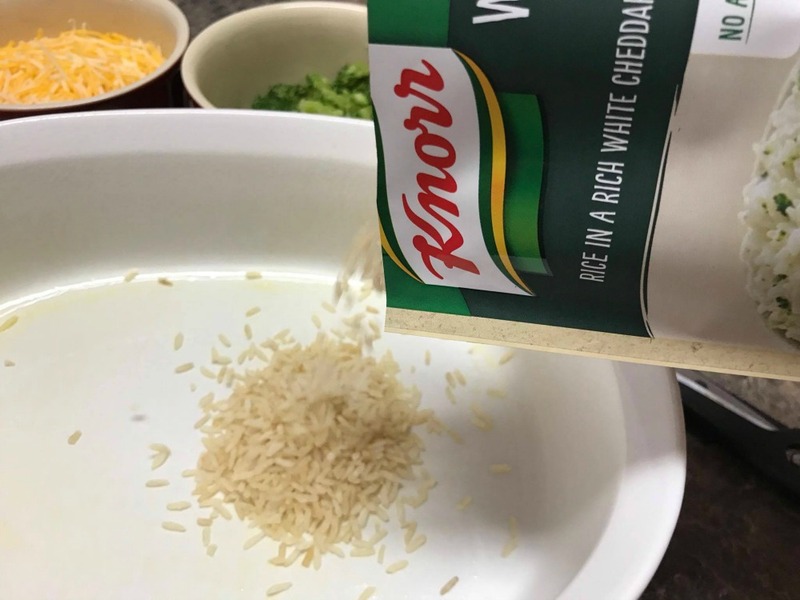 I had no idea knorr had this variety! Knorr is my childhood. Always loved their products. :) I haven’t tried these rice ones though – on the next supermarket buy, I’m grabbing some. Hey, I LOVE doing semi-homemade stuff, and this looks like a winning combination! Thanks for the great idea!